Mary Young Pickersgill stitched the Star-Spangled Banner, the large flag that flew over Fort McHenry during the naval portion of the Battle of Baltimore in the War of 1812. When he saw the flag still flying above the embattled fort the next morning, the sight inspired Francis Scott Key to write the poem that would become the national anthem of the United States of America. Born in Philadelphia, Pennsylvania February 12, 1776, Mary Young was the youngest of six children born to William Young and Rebecca Flower Young. Mary’s father died when she was two years old. 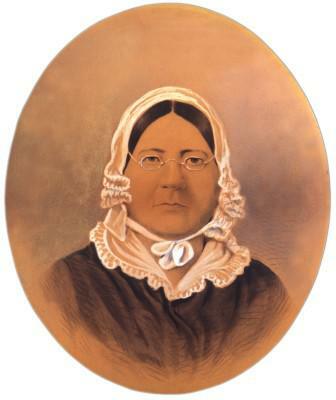 To support her family, Rebecca opened a flag shop in Philadelphia. Beginning in 1875, she made the Grand Union Flag, also called the Continental Colors, for the Continental Army. The Grand Union Flag preceded the Betsy Ross flag and is considered the first American flag. Young later moved her family to Baltimore, Maryland, where she taught Mary the craft of flag making from a very young age. 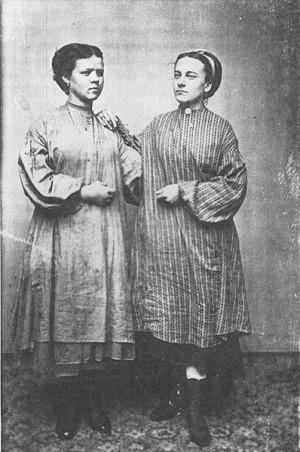 During the 1830s and 1840s, Betsey Guppy Chamberlain (daughter of an Algonquian woman) worked in the textile mills of Lowell, Massachusetts and wrote stories for two workers’ magazines. A brave and pioneering author, Chamberlain wrote the earliest known Native American fiction and some of the earliest nonfiction about the persecution of Native people. Betsey Guppy was born December 29, 1797 in Wolfeboro, New Hampshire on the shore of Lake Winnipesaukee. She was the daughter of William Guppy and Comfort Meserve Guppy. She was of mixed race: American and Algonquian Indian. 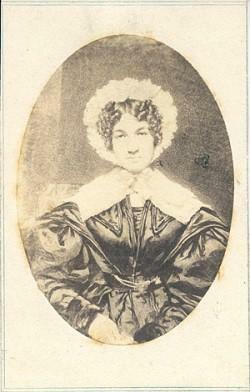 Betsey married Josiah Chamberlain on June 25, 1820, and they had two children; he died July 19, 1823. Unable to do the work alone, she was forced to sell their farm and work in the mills in Lowell, Massachusetts to support herself and her children. The mills paid good wages, but the hours were long. In recent years, Mary Blood Mellen has emerged as one of the most talented women artists in the years immediately preceding the Civil War. 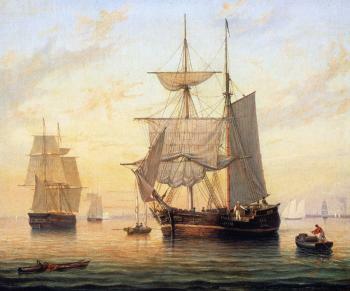 She was an American landscape and marine artist who collaborated with her mentor, American Luminist master Fitz Henry Lane. 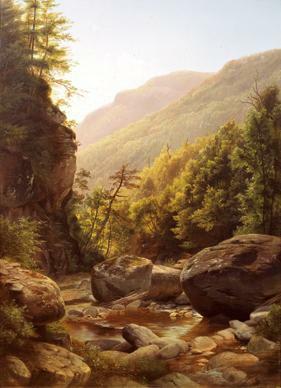 Mellen was one of the few women painters associated with the Hudson River School – a group of artists working in nineteenth-century New England. She is known for her renderings of nostalgic landscapes and seascapes in the Gloucester, Massachusetts area. While information about her life is always somewhat sketchy, Mary Blood Mellen was likely born in 1817 in Sterling, Massachusetts, where she attended a girl’s academy and studied painting. Mary showed an early interest and aptitude in art and learned to paint with watercolors at boarding school. In 1840, she married the Reverend Charles Mellen, and the couple lived in Gloucester, Massachusetts. Mellen was a Universalist minister at several Massachusetts churches during his career. This exhibit Emeline Hawkins: Her Journey from Slavery to Freedom on the Underground Railroad chronicles the compelling story of Hawkins and her family. 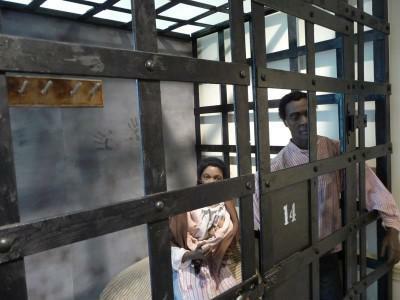 They were arrested in the slave state of Delaware while attempting to reach the free state of Pennsylvania. In 1845, three noted abolitionists guided Emeline Hawkins and her family on their journey along the Underground Railroad. Conductor Samuel Burris led the Hawkins family out of Maryland and into Delaware. Station Masters Thomas Garrett and John Hunn fed and sheltered the family, and aided their escape through the state of Delaware and on to the free state of Pennsylvania. 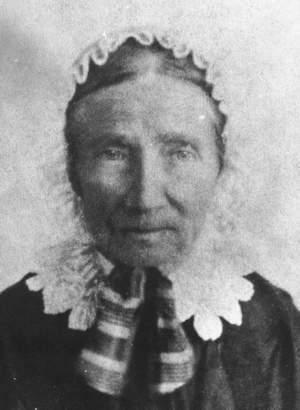 Tabitha Moffatt Brown was an early pioneer on a treachorus journey by wagon train along the Oregon Trail in 1846. She settled with her family in Oregon Country, where she and two reverends founded Tualatin Academy in 1849, and eventually Pacific University in Forest Grove in 1854. In the Oregon State Capitol, 158 names are inscribed in the legislative chambers; only six are women. One of those is Tabitha Moffat Brown. Tabitha Moffatt was born May 1, 1780 in Brimfield, Massachusetts, the daughter of Dr. Joseph Moffatt and Lois Haynes Moffatt. Nothing is known of her childhood. Tabitha married Reverend Clark Brown December 1, 1799, and they had four children – three sons and a daughter: Orus, Manthano, John Mattocks and Pherne (pronounced Ferny). John Mattocks died as a youngster, but the other children survived to adulthood. Reverend Brown died in 1817 and Tabitha taught school to support her family. Lucy Bakewell met Frenchman John James Audubon when he came to America in 1803 to oversee his father’s estate, Mill Grove, next door to Lucy’s family home, Fatland Ford. Audubon was eighteen; Lucy was sixteen, and she might have been jealous of his new passion: American birds. She was educated and physically strong, and she sometimes observed birds in the forest with Audubon. Born January 18, 1787 in England to a wealthy family, Lucy was the daughter of William Bakewell and Lucy Green. 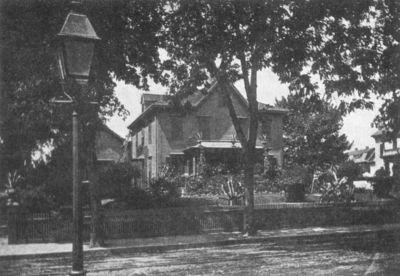 The family immigrated to the United States in 1801 and settled on an estate called Fatland Ford near Philadelphia, Pennsylvania. John James Audubon spent his childhood largely outdoors in the French countryside. He trained briefly as an artist in Paris and started observing and painting birds. In 1803 Audubon’s father sent him to America to oversee the family plantation, Mill Grove, which adjoined the Bakewell estate. 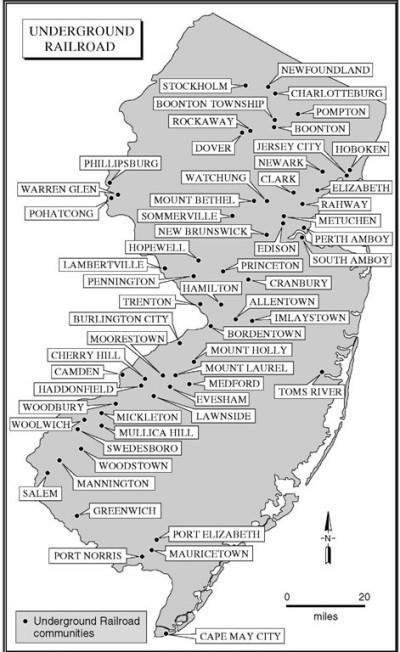 The Underground Railroad (UGRR) was a secret system of helping fugitive slaves escape to free states or Canada by hiding them in a succession of private homes by day and moving them farther north by night. In the 1830s, the small state of Rhode Island became increasingly involved in radical abolitionism. They were inspired by William Lloyd Garrison’s newspaper, the Liberator, and his call for immediate emancipation. During this period, twenty-five anti-slavery societies were formed in the state. 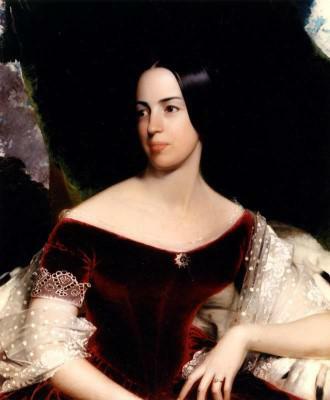 Abigail Brown Brooks was born April 25, 1808 in Medford, Massachusetts, the youngest of three daughters of Peter Chardon Brooks and Ann Gorham Brooks. Peter Brooks was one of the wealthiest men in Boston, and he and his wife were highly regarded in Boston society. Third son of John Quincy and Louisa Adams, Charles Francis Adams was born August 18, 1807 in Boston. He spent most of his early childhood abroad, where his father had diplomatic appointments. Charles Francis, like his father and grandfather, attended Harvard College, graduating in 1825. He spent the next two years studying law in Washington DC while his family occupied the White House. Returning to Boston in 1827, Charles Francis studied in the law office of Daniel Webster; in 1828 was admitted to the bar.